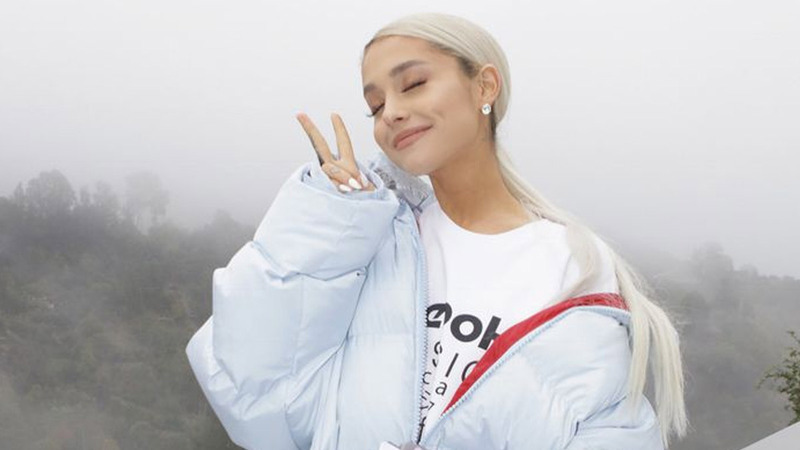 On Saturday night, just half an hour before Pete Davidson appeared in his weekly SNL episode, Ariana Grande dropped an almost-surprise single called "Thank U, Next" which blatantly calls out four of her exes. Apparently, some of them knew about it beforehand. In a series of tweets on Saturday, someone made a joke about Big Sean and Ricky Alvarez (two of the exes mentioned, Ricky of donut-licking fame) hearing their names on the track. Ariana actually replied to clear the air. So it looks like there's no bad blood between the singer and those two former boyfriends. Ariana didn't, however, say anything about her ex Pete Davidson, who was also mentioned. It's definitely not a diss track, though, because the lyrics about Pete are, "Even almost got married / And for Pete, I'm so thankful." After the track dropped and seemingly set the internet ablaze, Pete actually shared a message of his own on SNL. "I know some of you are curious about the breakup, but the truth is it's nobody's business and sometimes things just don't work out. And that's okay. She's a wonderful, strong person and I genuinely wish her all the happiness in the world." Which is, like, sweet and all, but in the words of Ariana herself, "thank u, next."